Widget tetris clone with single or multi-player modes. Is there a better alternative to Netrix? Is Netrix really the best app in Illustration category? Will Netrix work good on macOS 10.13.4? 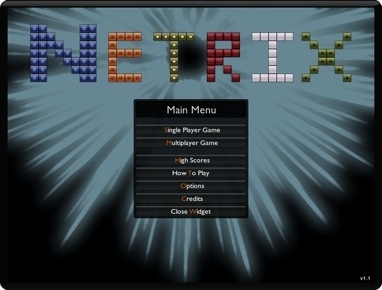 Netrix is a tetris clone which you can play in single-player or in multi-player mode with up to 11 other players. You can play against Mac players that also have the widget and against other Mac or Win players that are using the browser version. Take a look at the site for more information. Improved sound effect files in order to remove noises when moving / rotating blocks. Double-clicking the server entries in the list of servers now joins the game. Moved the high-scores to a new server. Netrix needs a review. Be the first to review this app and get the discussion started! Netrix needs a rating. Be the first to rate this app and get the discussion started!